My girls are definitely led by their stomachs, they tend to have 3 meals and 2 snacks each day and the rumbly in their tumbly lets them know when it is time to eat. I sometimes struggle with what to give them at snack times though. I allow them to have treats such as sweets and chocolates but I do prefer them to have healthy snacks majority of the time however the normal fruit etc can get boring. The guys at Fruit Bowl recently surveyed 100 parents and found that 73% like me , allowed their children to snack between meals with 50% choosing biscuits and 43% choosing crisps. 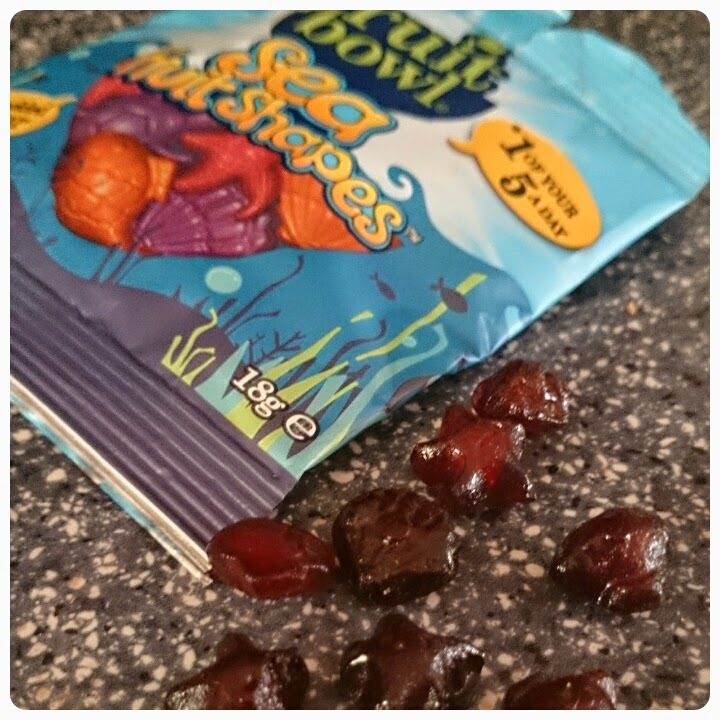 Fruit Bowl want to put the fun back into fruit, so they have created a new snack Sea Fruit Shapes. I was asked if I would like to review their newest product, I was sure my chief tester, Layla, would be happy to oblige so I said yes. On the front of each 18g pack we are told that it contains 1 of your 5 a day and that their is no added sugar, sounding good so far. The shapes are made using the juices from apples, pears, strawberries and blackcurrants, there are no artificial colours or flavours added. The smell when you open the packet is wonderful, almost tropical. There are mixture of sea objects like star fish, turtles and shells, although I found the colour of them made it quite hard to make out what each shape was. It would have been nice to see a mixture of colours in the packet. 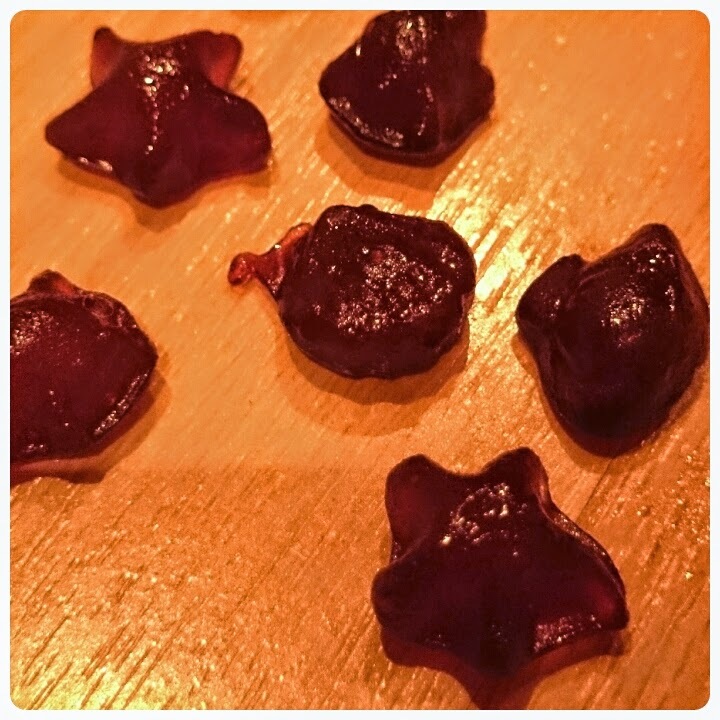 They have a consistency which I would describe as a mixture of a wine gum and a jelly, it makes it seem like you are getting a sweet treat but we parents know that actually they are getting something healthy into their bodies. 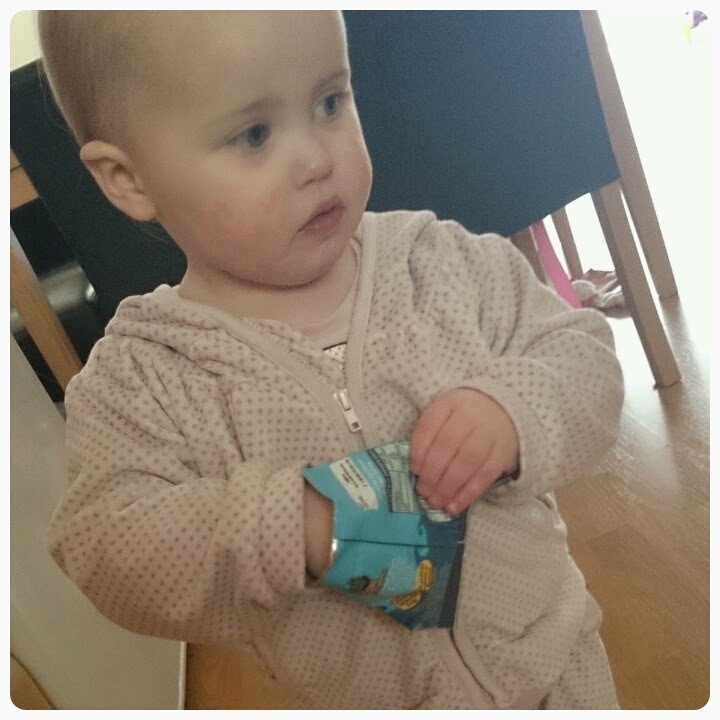 The snacks are small size, perfect for little hands and they are soft, making them easy to chew on, it didn't take long for Layla to eat them all up. The one thing I didn't like was how sticky they were. I know kids are likely to get messy when they eat but the stickiness meant that some of the shapes ended up tuck together. The Fruit Bowl Sea Fruit Shapes can be bought as a pack of 5 for the RRP of £1.89. Overall a good alternative to fruit, the packets are the perfect size to pop in your bag when on the go or as an added extra in the kids lunch box. Disclaimer : I was sent a sample of this product to try however all thoughts and opinions are my own. mmmm they look tasty. What a great way to trick those kids into thinking they have sweeties! I think you're right about the need for a mix of colours!